Engine repairs: No matter how high performing your vehicle is, it is not unusual to have occasional engine glitches and hiccups. At Riverdale Automotive, we are supremely knowledgeable about all different types of foreign cars and can appreciate the intricacies and nuances of your foreign car’s specific engine. Leave it in good hands with our mechanics. 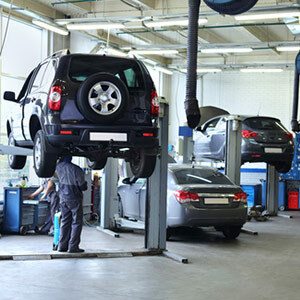 Transmission repair: It is a common myth that only vehicles in which you drive stick shift need transmission service. Whether you are driving standard or not, transmissions need occasional work. From replacing the entire system to servicing the part, we can offer the very best in foreign auto repair service in Conway, AR. Auto electrical services: Auto electrical repairs can be one of the most frustrating car-related issues—especially with foreign vehicles—and yet so few mechanics are willing to take on these electrical problems. Not only do we have no issue diving in full gusto for whatever job you need, big or small, we are uniquely equipped to diagnose and repair these problems with our extensive knowledge of foreign vehicles. Exhaust repair and maintenance: If you need exhaust work, we can help. For both repair and ongoing maintenance, our servicemen will aid you in any type of exhaust job and have you up and running again shortly. For the very best in foreign car service and repair, call Riverdale Automotive at 501-205-8622 and find out why our customers choose us for their high performance foreign cars.